Is There a Solution to the Challenges of Multi-Site WAN Deployment? Traditional multi-site wide area network (WAN) deployment is facing new challenges that make it difficult to ensure the performance and security necessary for today’s IT environment. In the past, the security perimeter was clearly defined, bandwidth demands were significantly lower, and applications were housed inside enterprise data centers. Now, applications demand real-time connectivity, high bandwidth, and the ability to exchange voluminous data transmissions with applications housed in the cloud. The security perimeter has all but disappeared among remote users and mobile devices. Business-to-business (B2B) partners exchange information freely but demand encryption and other security features for safe transmission. The risks of conducting these functions over a traditional hub-and-spoke network infrastructure are formidable. 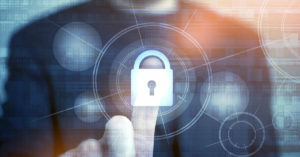 From the vulnerability of a cyber attack to the loss of satisfied customers due to slow connection speeds, enterprises unable or unwilling to adapt their networking approach will find their competitors quickly outpacing them. Network operations developing objectives for improving network performance and introducing flexibility to control mechanisms. Enterprises also struggle with the ability to connect various transport methods, such as multi-protocol label switching (MPLS), Internet, and long-term evolution (LTE). Weak encryption policies result in security vulnerability and the enterprise racks up compliance penalties because of a lack of segmentation required by industry regulations. In addition, in a multi-site WAN deployment, the benefits introduced to the network often do not extend to those operating outside the data center. They may have a poor user experience when accessing a cloud application because the architecture of the network is too centralized. They may also be unable to access the bandwidth levels necessary to support video, which is becoming more common for training and demonstration purposes. Delays are also frequent when introducing new applications and services in a multi-site WAN deployment. There may be a delay in onboarding a new site or in introducing a new business partner because of a rigid carrier footprint, resulting in lost revenue and a costly process. Visibility and control: Network operations teams can access troubleshooting, configuration, and segmentation tools, all from a centralized virtual overlay. This means that when a branch location is experiencing a problem, there’s no need to travel out to the location or try to walk someone through a maze of troubleshooting attempts over the phone. This benefit is also evident when onboarding a new branch location. Whereas traditional network architecture might require weeks to introduce a new location onto an existing network, SD-WAN zero-touch provisioning can introduce a new location to the network in a matter of hours. Network segmentation: One of the greatest advantages of SD-WAN is the ability to set business policies that automatically route network traffic based on type, application, or user. For instance, a video conferencing app utilized by executives will be directed to MPLS while an employee on break browsing YouTube videos will be routed to a public Internet pathway. Segmentation also introduces an inherent security feature. If a laptop or a mobile device is left at a customer site by mistake, network operators can address the potential threat without there being any impact on other segments of the network. Segmentation improves performance across the network, ensuring that bandwidth loads are adequately managed for areas like voice and video communications as well as collaboration software requiring real-time communications. Agility: New business partners requiring a vendor connection and new cloud solutions can be added to the network with ease. Enterprises find that decisions made are more quickly actionable because there is no bottleneck at the network level. Reduce networking costs: Many enterprises find that by optimizing data transmissions based on type, they can reduce their spending on more reliable, but costlier, MPLS pathways. Another way SD-WAN reduces networking costs is through its categorization of networking costs as an operating expense rather than a capital investment. Because SD-WAN is billed as a monthly subscription, and there’s no major outlay of capital at installation, transitioning to SD-WAN can help enterprises save money. To learn more about how SD-WAN answers the challenges of multi-site WAN deployment, contact us at TailWind. We offer certified, on-site technician support and deliver high-speed broadband connectivity, along with asset management of your customer premises equipment. We look forward to helping you streamline your networking, resulting in one invoice and one number to call.